The Elysee has chosen the former cultural advisor to President Jacques Chirac, President of Chamber at the Court of Accounts, to succeed Olivier Schrameck. At the Higher Audiovisual Council (CSA), the alternation is between representatives of the major bodies of the State: the President of the Republic, Emmanuel Macron, "Contemplates" according to the terms of the communiqué released Friday, January 18, to appoint at its head Roch-Olivier Maistre, President of Chamber at the Court of Accounts, replacing Olivier Schrameck, from the Council of State. Aged 63, Mr. Maistre is a great connoisseur of culture, but less of that of the audiovisual. 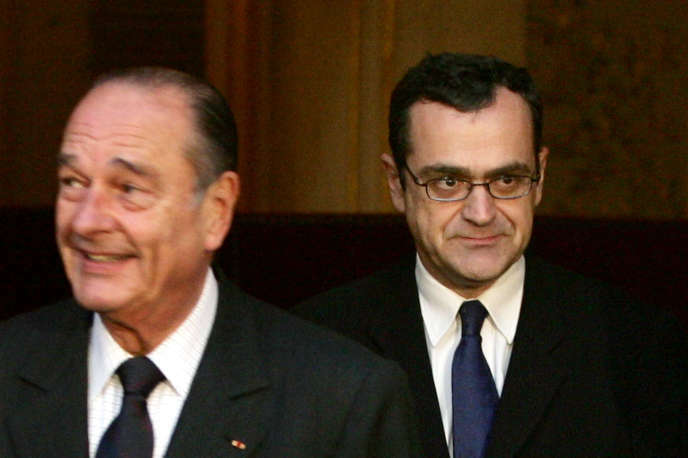 This close to Jacques Chirac, he was the cultural advisor to the Elysee between 2000 and 2005, and Alain Juppé - he supervised the group culture of the candidate during the primary of the right in 2016 - will take office on January 24 once his candidacy has been approved by the cultural affairs commissions of the Senate and the National Assembly, which is hardly in doubt. Mr. Maistre will find himself at the head of the CSA at the moment when the government wishes to reform the law on the audio-visual one of 1986. A law that he helped to make, while he was "Young counselor" in the cabinet of the Minister of Culture and Communication of the time, François Léotard, as he said, in March 2018, during his hearing by the mission of information devoted to the regulation of audiovisual communication. "Less regulation and more regulation"
In front of this mission, speaking " personally " alongside Marc Tessier, former president of France Televisions from 1999 to 2005, he had expressed his vision of regulation in a time of digital upheaval, while traditional national operators face competition from foreign giants who are not subject to the same rules: he had declared himself in favor of a "Soft law", with a "Less regulation and more regulation". It is necessary, he had explained, «To enter a regulatory approach (...) which relies more, it will be necessary to emphasize it, on voluntary commitments made by the actors, on principles of convention of a contractual approach between the regulator and the actors, on charters on topics of general interest. that we want to see respected by the actors ". "The future will likely be more in this way than in the normative approach alone"he added. A position which echoes that advocated by Mr Schrameck, according to which "The future of regulation is a scheme where the platforms would undertake to remove certain content, within a certain time, under the supervision of the CSA".